The ‘beautiful game’ – maturing gracefully? Many, equally serious, fans will admit that their love of the ‘beautiful game’ has been diminished as the ‘business’ of football has grown. It sometimes appears that the pursuit of trophies and financial success supersede all other considerations. The same report makes no bones about it – “Louis van Gaal attempted to suggest that the only thing that mattered was Manchester United’s presence in the draw for the fourth round”. From a purely short-term financial perspective that is probably true but it implies that profitable football is not necessarily great football. In effect, the profit motive could be squeezing all of the crucial ingredients for enjoyment – talent, skill, excitement and entertainment – out of the game. A fascinating article by Simon Kuper in the FT about “original thinkers” challenges our conventional definitions of ‘winning’ and ‘success’ as being too preoccupied with money and prizes. He cites Arsene Wenger as an example of a truly original thinker who “cares more about shaping players and developing new methods”. Wenger’s approach has been valued by Arsenal since 1996; an inordinately long tenure in the notoriously fickle world of football ownership and revolving door management. Kuper uses football to ask a very profound question about the nature of organizational leadership today and whether financial results, and even league position, are valid criteria in what could still be a beautiful game? Have we finally reached a point where the club at the top of the Barclays Premier League is not necessarily the ‘best’? This is the challenge now being taken up by OMS under the auspices of the Maturity Institute (MI); a group that identifies closely with Kuper’s definition of original thinking. The key aim of the MI framework is to create as much societal value as possible through the use of the planet’s human capital. This has resulted in the construction of a Global OMI (organizational maturity index) that considers a much wider, more holistic, set of criteria for organizational success. For example, if we view Manchester United’s performance* from the perspective of how much it spends on player salaries to gain a single point in the Premier League it is at the bottom of that particular league table. Alternatively, if we assess the extent to which English clubs are run as whole systems, then Southampton would score relatively high. 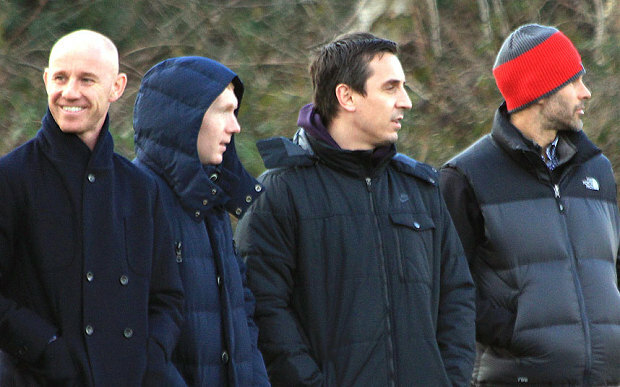 At least that is Gary Neville’s view. A former team mate of Scholes, he believes the “era of the (traditional) gaffer is over” and the future is one where a technical director will run an evidence-based, whole system operation. He cites Southampton as the exemplar. MI’s original exemplar, Toyota, not only changed the face of automotive engineering and world class manufacturing; it was a complete game-changer in leadership and management excellence. We think a game that attracts 4.7 billion people, who appreciate human talent, skill and purposeful endeavour, should be able to build on this foundation and help to teach the world what teamwork on a global scale really means.